A healthy, active brain is essential to optimal health and wellness. A wide variety of supplements are formulated to support brain health and improve memory, retention, and cognitive function. The most effective supplements use quality natural ingredients, such as citicoline. 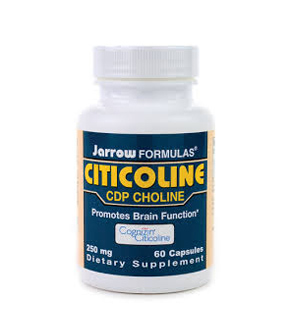 Citicoline is a brain chemical that naturally occurs in the body and supports brain health, focus & attention. This chemical is used in certain prescription drugs and brain health supplements. Citicoline was originally developed in Japan and is used in a variety of prescription drugs and brain supplements. Prescription drugs containing citicoline are used to treat memory loss arising from Alzheimer’s disease, Parkinson’s disease, dementia, and other related diseases. Prescription medications containing this ingredient must be prescribe by a physician, but dietary supplements can be taken to enhance overall brain health without a prescription. Citicoline enhances specific mental process related to learning, memory, logical reasoning, and function. It works to enhance the neurotransmitters in the brain and facilitate communication. These attributes makes it an ideal ingredient in supplements that improve cognitive function and support general brain health. This source of choline is necessary for the production of the acetylcholine neurotransmitter in the brain. Many people don’t get sufficient choline from their diets, which can lead to deficiencies. A supplement containing choline can help restore the deficiency and provide improvements in cognitive function, memory, and concentration. In Japan and Europe, citicoline is used to treat stroke patients, Alzheimer’s disease, Parkinson’s disease, dementia, ADHD, and circulatory problems. In the United States, it is most commonly found in natural supplements for cognitive function and brain health, such as Lumonol, Brain Pill, and many others. The dosage of supplements containing citicoline depend on the specific supplement and the form in which the supplement is taken, such as tablets or powder. Follow the directions on the package to get the best results from the product and minimize any potential side effects. Citicoline is a naturally occurring chemical, so users experience very few side effects when taking it in supplement form. However, some supplements do cause some users to experience mild side effects, such as headache, nausea, or insomnia. It is always advisable to consult with your physician before taking a supplement, especially if you have another health condition or take medications to ensure that a supplement is safe for you. Before buying a supplement, look for information about ingredients, dosage & side effects. Of course, you will want to know, does it work? Citicoline and many of the top supplements that contain this ingredient receive positive customer reviews. There are several brands that use this ingredient, so you will need to research your options to find the one that best suits your needs. At Smart Pill Guide, you can read reviews of the most effective supplements, including several that contain this innovative ingredient. Study and compare the ingredients and results offered by various supplements to make an educated decision.